Patients often lose their teeth due to trauma, decay, injury, or circumstances requiring extraction. However, losing all or most of the teeth on an arch can prove to be a complicated issue, affecting your mouth’s bite and affecting your ability to chew, speak, and eat. 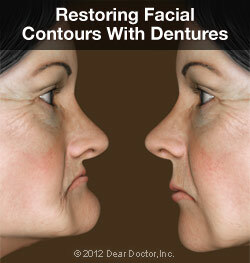 Luckily, Santa Rosa Dental Care in Santa Rosa, CA offer dentures to replace your missing teeth quickly and easily. Full Dentures: Full dentures replace an entire arch of teeth. The denture itself fits into place on top of the gums, using suction to stay in place. 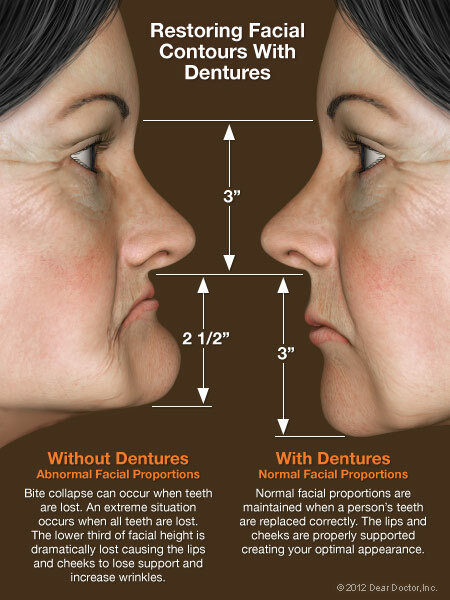 Patients who need a full denture on both the bottom and top arches require a set of full dentures. Partial Dentures: Partial dentures use any healthy teeth remaining in the mouth as anchors to hold the denture in place. The teeth fit through the denture, which allows the natural teeth to fit into place next to the prosthetics seamlessly. Immediate Dentures: Patients who require extractions of their remaining natural teeth due to decay or trauma may qualify for immediate dentures. These dentures are designed before the extraction procedure and are worn by the patient immediately after extraction. The denture acts as a bandage for the fresh extraction sites and allows patients to wear their new smile home from their appointment. Implant-Supported Dentures: This type of denture uses dental implants to secure a fixed denture in place. 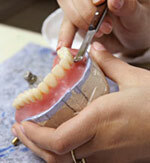 The denture remains in the mouth and does not require patients to remove it for cleaning. Santa Rose, CA at (707) 921-1970 today!